Sean and I are back from our amazing trip to the Mediterranean. So many inspiring images to share with you. 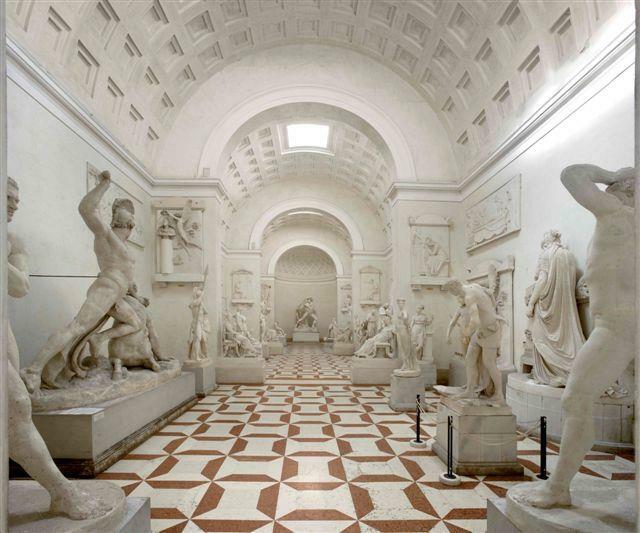 The one recurring image which I come back to is the neoclassical hall at the Museo Canova in Possagno, Italy. Picture a small Alpine town in the foot hills of the Dolomite Mountains, one and a half hours outside of Venice, arrived at by traveling down winding country lanes, past farmers at work in their fields, with the wheat blowing in the gentle breeze. By the time you get to Possagno, the architecture has changed and is more reminiscent of what one finds in Austria. 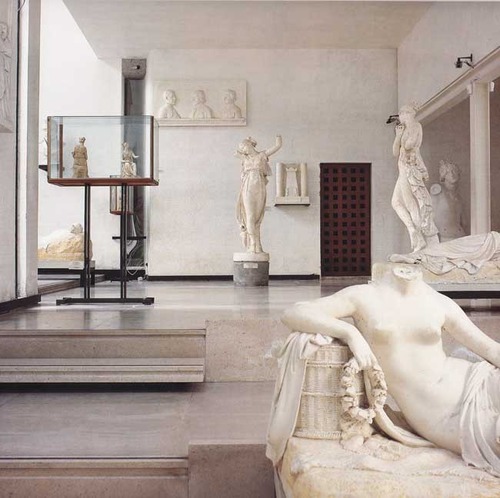 And then entering this small museum, at the birthplace of Canova, you realize the great history of art and architecture reach even this remote corner of Italy. The humble entrance by Carlo Scarpa does not prepare you for the great hall: the coffered ceiling, light and that floor! Using the floor plane as the source for decoration is repeated throughout Venice, especially in the work of Palladio. Almost as an afterthought I mention the reason for the trip: we made this journey to view the work by Carlo Scarpa. The building Scarpa designed is beautiful, and expertly detailed. Here use of light in space is masterful. But the neoclassical main hall: that’s what grabbed me! Perhaps because it was so unexpected, after such a beautiful journey, that this space has remained so memorable to me. All is simply beautifull,fresh and clean.Rarely to find ..THANK YOU .